So long and thanks for all the fish!!! 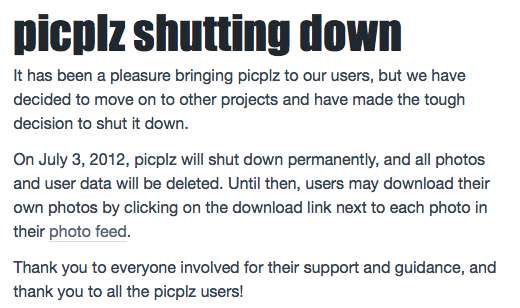 PicPlz is going down, I guess that soon they will allow users to download their pictures before all is wiped off their data centers. While we wait, I’ve created a simple Python Script when entering the username you can download all the photo stream.